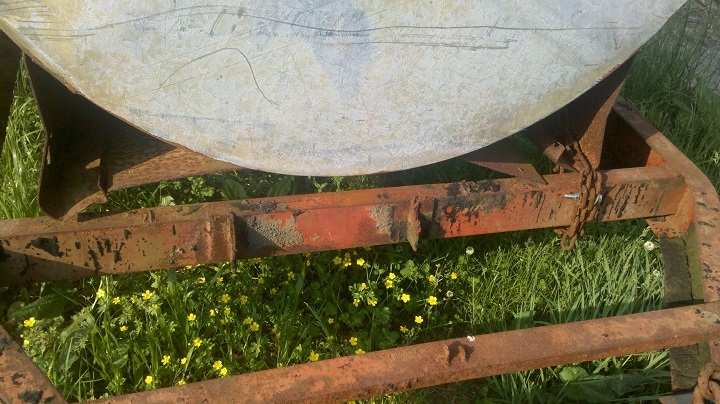 Home→Horses For Sale→Stable Store→Water Buffalo – Tanker with Trailer for SALE! For viewing pictures, please scroll down. The 1st three pictures are the same that we used to post this up for sale on Craig's List. 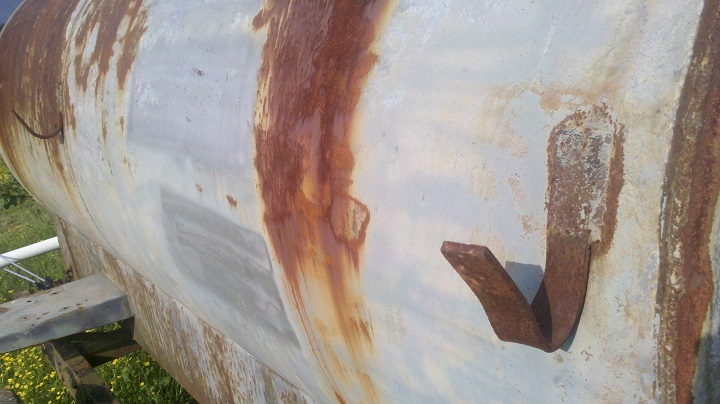 To review information about this tanker, please scroll down towards the bottom of the page. We HAVE to move. We've LOST our LEASE! 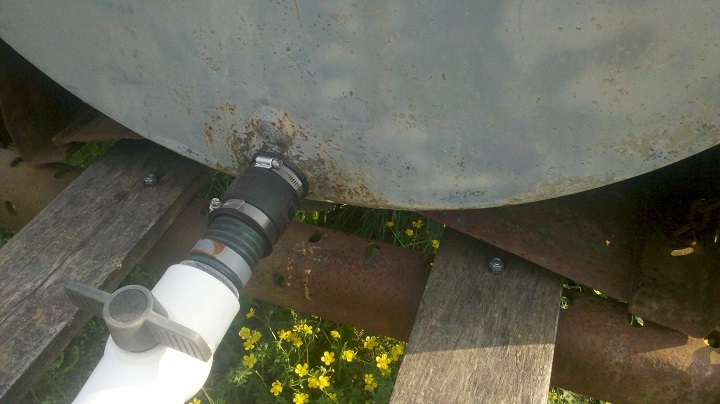 This Great Little Farm / Construction Water Tank, Trailer has to go! We'll gladly consider all offers!!! Also, if you'd like, we have more pictures available. 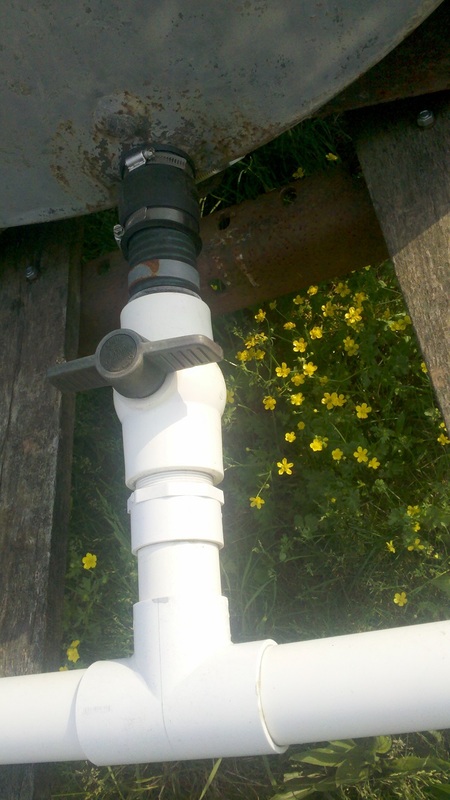 The following is the data on our Water Tank and Trailer, aka Water Buffalo, Water Tanker and/or Water Carrier. . . 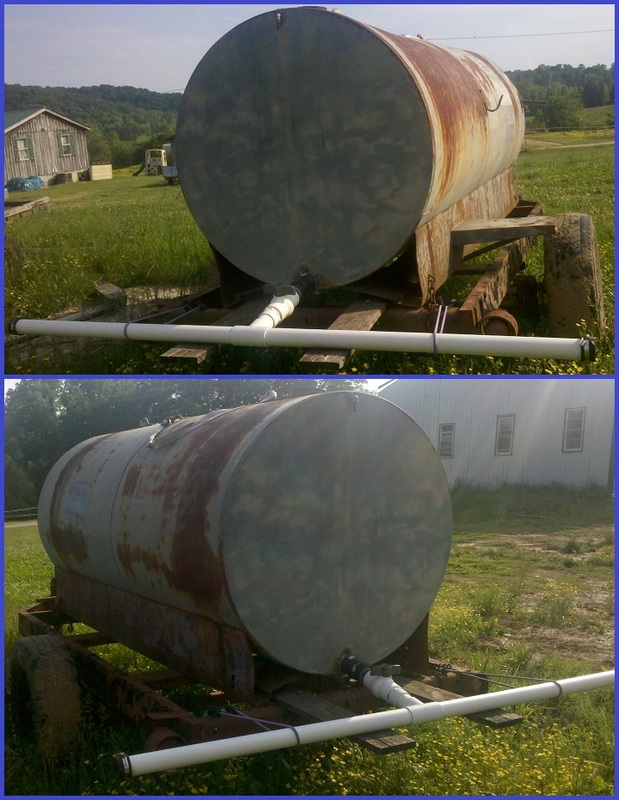 This tank & trailer is a GREAT unit for a farm and perhaps various construction job site applications. 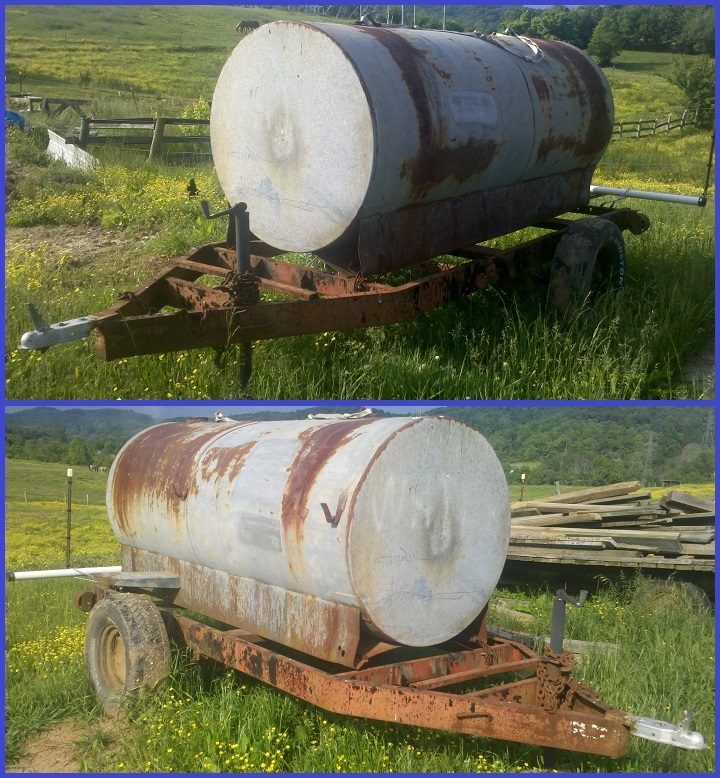 We bought this tank & trailer in used condition (pretty much as you see it now) at an auction. Then, we used it for years to haul water, via our tractor, from a creek to our Horse Arena for our Local Amateur Horse Shows. It's worked out GREAT for us. We used a portable pump and hose to first fill from the creek. Then, we'd haul it to the Arena and let gravity supply the pressure to our home made sprinkler system at the rear of the tank. 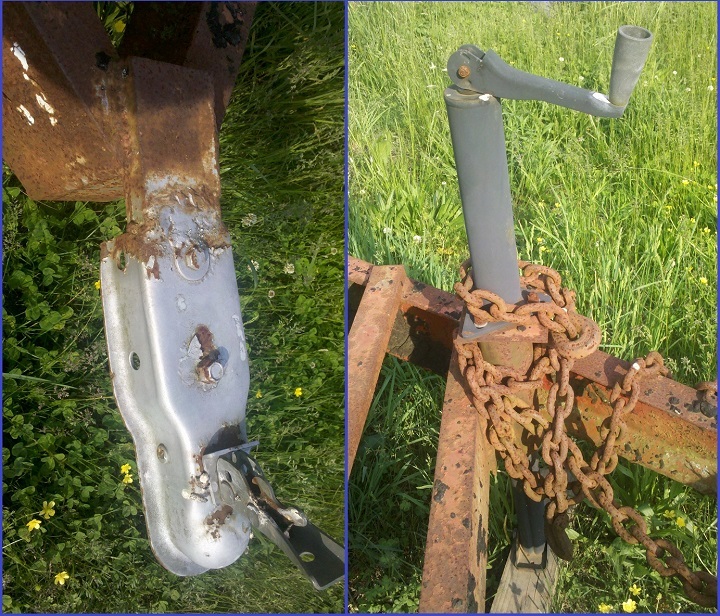 The tank appears to be bolted to the frame and secured with additional chains. 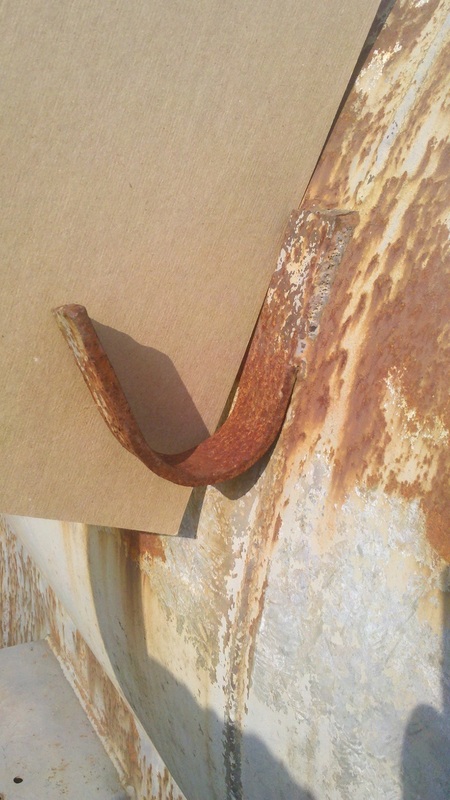 It has two hooks welded onto the right (passenger) side for securing the water line to draft with. It also has a shelf mounted onto the right (passenger) side, where we'd mount or transport the gasoline water pump to and from the creek. 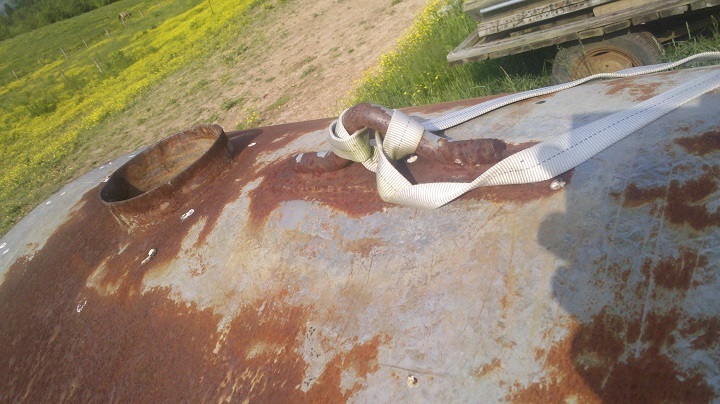 The tank has two "hook bars" welded onto it at the top (I imagine that they were put there to lift the tank off and onto the trailer for anytime repairs might be needed). 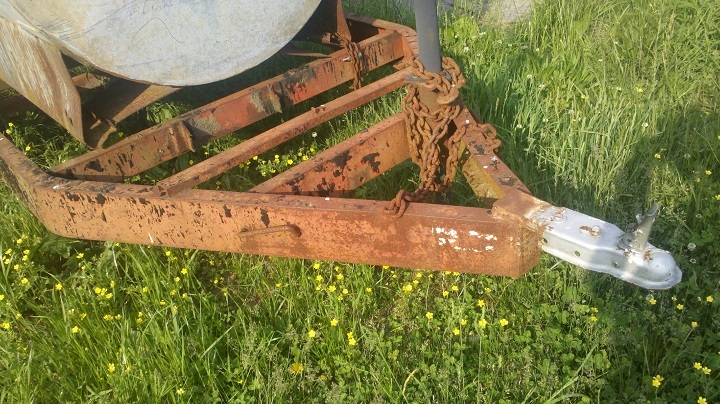 It's unknown what true size the hitch is but, we've hauled it around here with simply a 2" ball. We also, don't know what the weight of the trailer & tank is when it's empty. When it's full, we use the tractor. When it's empty and just needing to be moved around, we've used on old Honda Odyssey to tow it around the farm. We're selling this unit in "as-is" condition. We don't have the time to paint it, fix it or doll it up. And even if we did, that would only cause the unit's price to go up. So, selling it as it is makes it your gain. We can't leave it stored with water, because there's a small pin leak at the rear on the bottom. But, if you're going to use it soon after filling, then that should not be much of a concern. 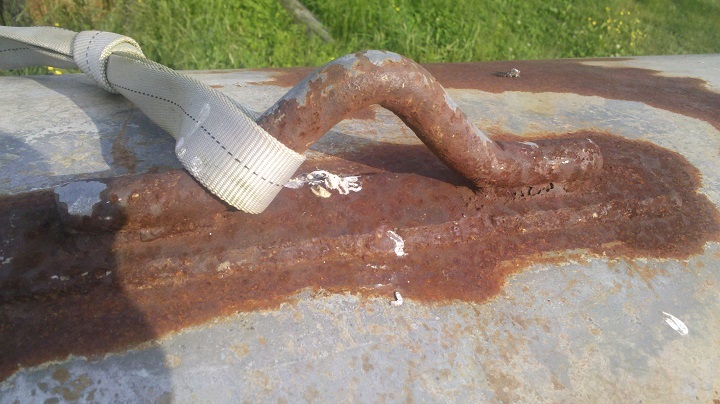 Someone with welding knowledge could probably fix it in a few minutes time. We've just never had a need to address the pin leak. We're having to relocate and this tank & trailer will most likely not be going with us. So, we've got it up for quick sale. This tank/trailer is NOT rated nor does it meet any DOT specifications to transport it on the roadways. From the front of the tank to the tip of the tongue is: 55" (+/-). 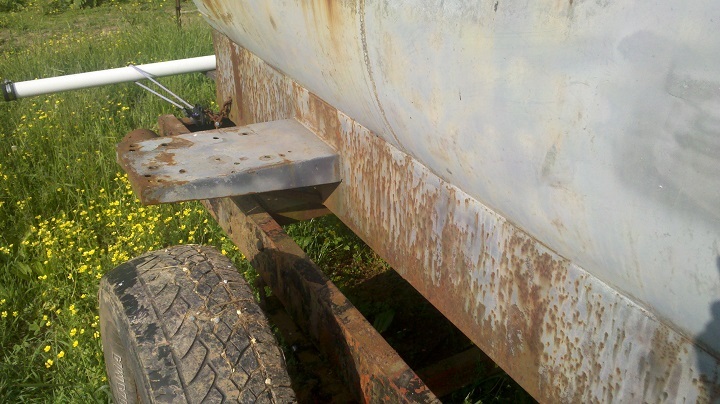 The Frame Width of the trailer (that the tank sits on) (and not including the axel or tires) is 55" (+/-). 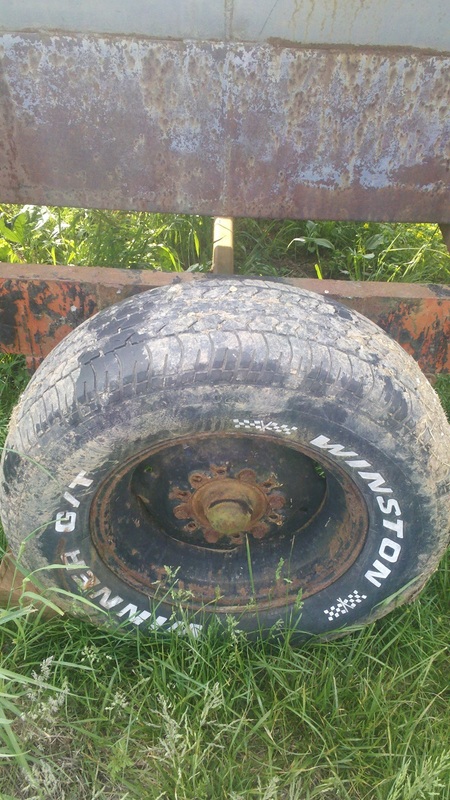 Measuring from the outside of the frame to the outside of the tires is: 16" (+/-). Measuring from the end of the tank, to the outside of the frame in the back is another 1½" (+/-). Measuring from the ground to the top of the tank (not including the welded on top hooks) the Height is 70½" (+/-). The outside dimensions of the tank are: 44½" Diameter X 109½" Long (+/-). 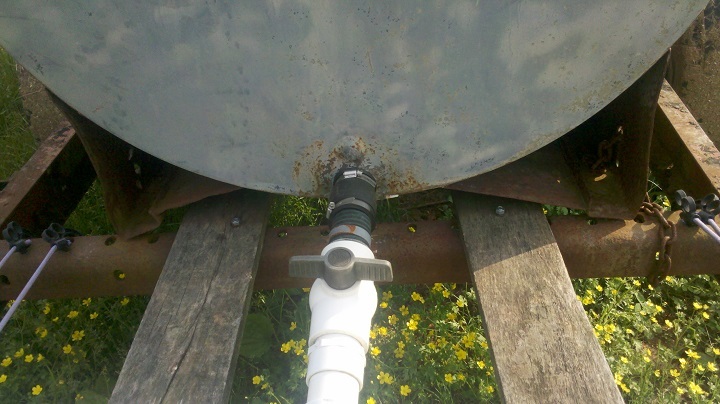 The fill hole opening on top of the tank, at the rear is: 5½" Diameter (+/-). I do not believe that the tank is baffled. The formulas that I used were as follows. . . Convert cubic feet to gallons by multiplying by 7.48051945. Please contact us and we'll gladly get back to you as soon as possible.